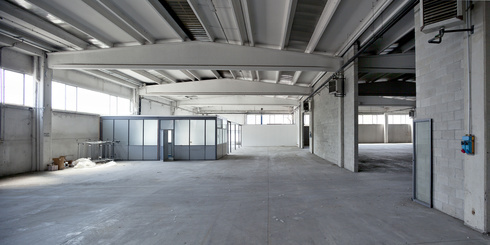 A move into the world of industrial real estate can be considered a little daunting for the uninitiated. Most people are unfamiliar with the conditions and terms of buying and leasing industrial buildings versus a residential property. There are a number of factors to consider like GST implications, and who accounts for outgoings from the building. On top of that, industrial real estate leases are often 10 times the length of residential leases, which is a lot of paperwork to wade through! Despite the complexity and knowledge required, investing in an industrial building can still be a very sound financial choice. With the right knowledge, commercial real estate agent and property, you can find yourself with a secure and lucrative long-term investment. There are three main types of commercial property: office-based for professional industries, like accounting and marketing firms; retail for restaurants and point of sale businesses and industrial for manufacturing, warehousing and other industrial activities. Industrial buildings can range in size from small for mechanics and start-ups, to medium-sized for storing goods and medium scale manufacturing, to gigantic industrial spaces for car manufacturers and international logistics and distribution centres. Why invest in industrial real estate? Investing in commercial real estate gives a higher return, generally because of the higher rental incomes. This is because rent for commercial real estate is valued in relation to the square metres available. Because industrial real estate tends to be larger in size, the rent is higher. In addition to this, industrial tenants are more willing to sign longer leases to avoid the overhead of moving – no easy task for manufacturers or warehouses – so investors can enjoy the security of higher rental yields over a longer period. While residential leases generally include a fixed term of 12 months, industrial real estate leases tend to include an initial 5-year period, with the option to renew for another 5-years. Finding the right tenant is obviously a critical part of your investment. In commercial and industrial property, a government or large corporate tenant is recognised as a ‘blue chip’ renter. However, other tenants like private industrial or warehousing companies can be very good tenants too. They are more likely to rent your property for a longer period of time compared to residential tenants, and tend to be far less likely to default on rent. One of the benefits of being an owner associated with commercial real estate is that the tenant is responsible for paying a majority of expenses. These include costs such as council rates, insurance, repairs, and maintenance. Consequently, a higher proportion of the rent collected by the owner can be retained, unlike with residential properties where the owner has to use the rent money to cover these costs. Commercial properties overall have a higher vacancy rate than residential properties due to economic factors such as market fluctuations and supply and demand. And with industrial real estate, the case is even more so. If one business closes, it can be a challenging task to find another tenant willing to sign a 5 or 10-year lease depending on the location and vacancy rate in the area at that time. This makes choosing the right industrial real estate investment in terms of economic outlook, location and the type of industrial activity that the space can accommodate very important. 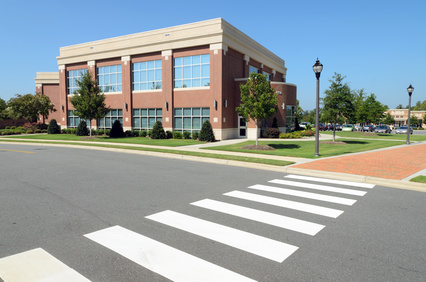 If you are buying commercial property, you need to understand the financial implications. Because purchasing industrial real estate is higher risk than residential real estate, lenders require a larger deposit up-front. This is generally in the ball-park of 30%, and interest rates may be charged at a premium too. Finally, your best bet is to do your research, understand your financial situation, and get the help of a good commercial property agent or broker. If you’ve an eye for extra income, it pays to engage with someone who knows the ins and outs of industrial real estate. Getting the right advice isn’t as hard as you might think. HKC Property Consultants’ team of professional, personable and experienced commercial real estate agents are experts in industrial real estate, particularly in Melbourne and the surrounding areas. Why not get in touch? Our team of directors can help you maximise your return for a more profitable investment portfolio.